I had a moment last week of feeling so well-connected. Now it’s not what you might think in the way of being almighty, celebrity, Wall Street, swiss bank account, Prince Harry on speed dial connected. I have a friend in Napa with elegant house that has a hammock on her back porch that happens to overlook a beautiful vineyard. It’s rare, almost impossible to make this kind of connection. But once you have made it into the hammock and look out on the vineyard the feeling is bliss. I like to get cozy and read a good magazine, or take a nap and pretend I am on a vacation in the French countryside. 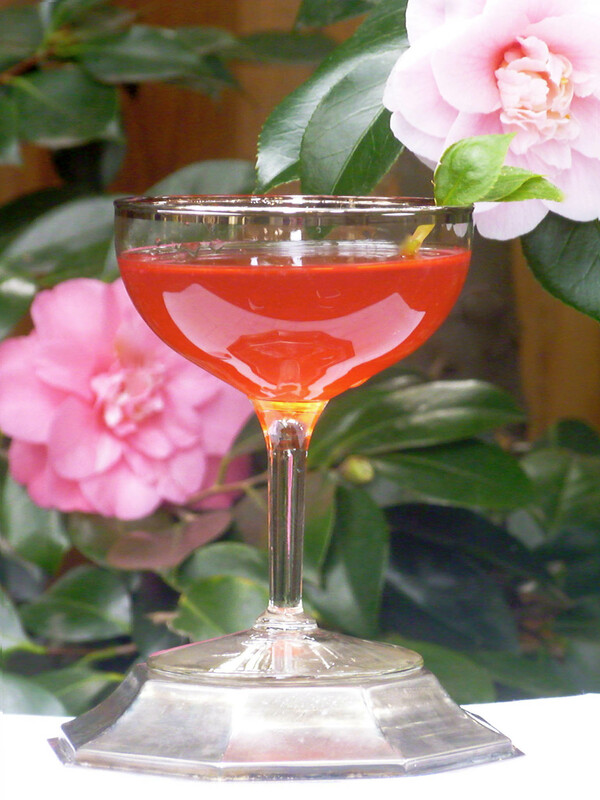 Last Friday it was 75 degrees and as I am lying there hoping to get a little ‘color’, I came up with this cocktail. Senorita Rose-Alita is bursting with a fresh bouquet of bright apples, raspberries, wild flower, juicy melon and orange. Combine all ingredients with ice in a shaker. Shake well. Fine strain into a chilled coupe glass. Garnish with a spring of mint. Place a basket of washed fresh raspberries into a 750 ml of Coquerel Calvados Reserve. Let sit for 24 hours, shaking occasionally. Fine strain raspberries out and Coquerel Calvados into an airtight container.